Cranberry a favorite holiday flavor, but this little berry is good for more than a Christmas pick-me-up. Cranberry seed essential oil is made by pressing cranberry seeds to extract a concentrated oil that is chock full of health benefits. This essential oil is enjoying increasing popularity in the health and beauty industry as its positive properties are brought to light. The main aspect of cranberry seed oil that has people shouting its accolades is that it contains a 1:1 ratio of Omega 3 and Omega 6 fatty acids. These two nutrients work together to strengthen the skin, reduce inflammation, and moisturize. They also work to reverse the damaging effects of sunlight on the skin and improve collagen and elastin fibers. 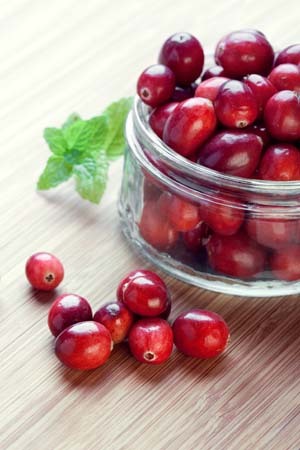 This makes cranberry seed oil a favorite ingredient in anti-aging skin care products. Besides the benefits gained from Omega 3 and Omega 6 fatty acids, cranberry seed oil carries other nutrients to promote healthy skin. It is rich in vitamin E which moisturizes the skin and protects it from the elements. Cranberry seed oil is a powerful antioxidant that can reduce free radicals and keep skin looking fresh and youthful. It also contains vitamins C, B3 and B5. All of these components work together to promote skin regeneration and healing. Cranberry seed oil is surprisingly non greasy and has a light, smooth feel. It's no wonder that skin care products across the board are beginning to use cranberry seed oil as one of their main ingredients. If you prefer using natural skin care products over synthetics, you can skip the expensive, name-brand skin creams and apply cranberry seed oil directly to you skin. Its anti-aging, antioxidant, and nourishing properties will give you the desired results without all the extra chemicals.